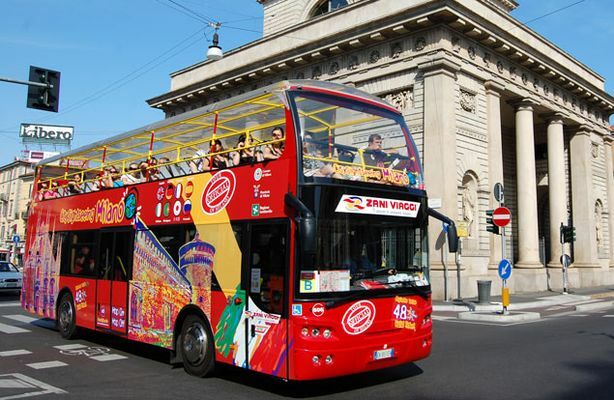 The original City Sightseeing Hop On Hop Off is official partner of MilanoCard. Enjoy the city onboard the original double deck buses and don’t lose any side of Milan. With MilanoCard you can save 10% on Milan City Tour ticket. Buy here the combo ticket or buy MilanoCard stand-alone and then show it at the Hop On Hop Off Bus. Commentary available in English, German, Spanish, French, Portuguese, Russian, Chinese and Japanese. Discover Milan with a panoramic hop on hop off bus, the best way to have a sightseeing tour of Milan! One of the best ways to ensure you get to see all the main sights of the city is by taking Milan hop on hop off bus tour. You can either stay on the open-top bus for 90 minutes to do the whole tour in one, or hop off at any stop to visit a particular attraction before re-joining the tour on a later bus. It’s an Hop On Hop Off Milan tour, so simply get off the bus wherever you want and get onboard the next bus when it arrives. 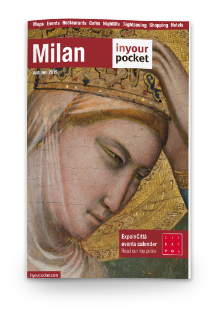 Close to each stop are a number of points of interest and museums affiliated with MilanoCard . A red open top double-decker buses that permit you to visit the most important attractions in Milan: The Sforza Castle, Sant’Ambrogio Cathedral, Parco delle Basiliche and Leonardo’s Navigli area. The Milan City Tour includes an audio commentary full of information on the sights that you pass. Don’t worry if you do not speak Italian; the commentary is also available in English, German, Spanish, French, Portuguese, Russian, Chinese and Japanese. Children have their own commentary full of amusing anecdotes and fascinating facts to help them on their own discovery of Milan. The hop on hop off buses are now part of the Milan landscape and are increasingly appreciated by foreign tourists and those who want to see Milan from another point of view. Thanks to Milan Hop on Hop off, you can reach Basilica of Sant’Ambrogio, the Basilic Park the University of Milan, the Duomo Milan, the museum of Scala Theatre (-30% with MilanoCard), and much more. On board you can get free wi-fi. -The Bus Terminal is at Milan Central Station , opposite side of the Piazza Duca D’Aosta. -The guide is available in 8 different languages. -There are three different line for all the season. With MilanoCard, the tourist pass of Milan, get a 10% discount on Hop On Op Off ticket. Show your MilanoCard on Hop On Op Off bus and receive ticket at 10% off.